Thousands of residents and visiting tourists rely on taxis for efficient, reliable transportation in Louisiana. Although accustomed to the daily rigors of navigating traffic and dealing with distracting passengers and time constraints, taxi cab drivers can make serious mistakes, causing injury to paying fares, other motorists and pedestrians. When a taxi cab driver’s negligence causes an accident, you deserve to be compensated for your injuries, pain and suffering. Under Louisiana law, taxis are labeled commercial vehicles or common carriers, and as such, are tasked with taking reasonable precautions to ensure the safety of their passengers. In other words, the taxi driver and the taxicab company owe a “duty of care” to passengers from the moment they board the vehicle until they depart. If you or someone you love were involved in a taxi accident and suffered harm, you need the representation of an accomplished taxi accident lawyer to protect your rights to fair compensation. 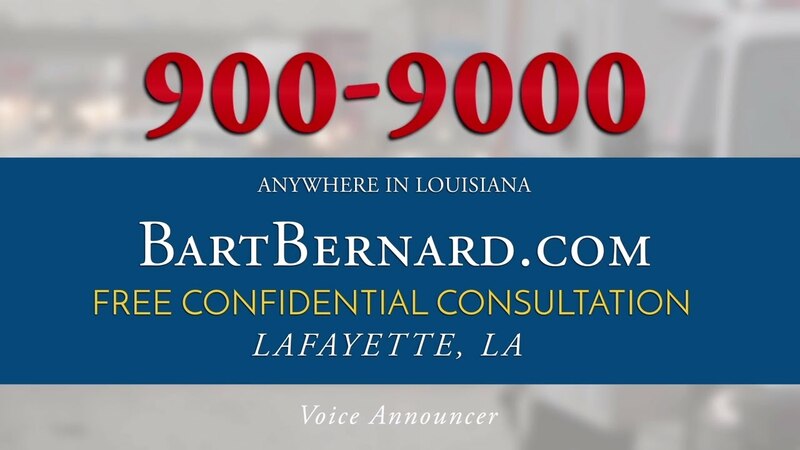 Attorney Bart Bernard has ample experience handling commercial vehicle accident claims throughout Louisiana, including those involving yellow taxis and unlicensed “gypsy” cabs. Whether you were a fare-paying passenger in a cab that collided with another vehicle, or your own car was hit by a taxi cab, Bart Bernard can explain your rights during a free consultation. There are many car accident lawyers in Louisiana, but few have the legal acumen, experience and case results leveraged by Bart Bernard. For more than two decades, Bart has dedicated his career to uncovering the truth in complex personal injury claims, ensuring accident victims aren’t conned into accepting low-ball settlements. Just like any civil action, there are time limits for pursuing damages in a taxi accident claim. Plaintiffs in Louisiana have one year from the date of injury to file a personal injury lawsuit. Don’t jeopardize your physical and financial recovery by waiting too long after an accident – seek legal representation right away. Following any type of taxi cab accident, always speak with a lawyer before signing insurance papers or providing official statements. Most taxi drivers work for companies that operate large fleets of vehicles offering cab, limo and airport shuttle services. Other cab drivers are independent operators. Both are required to keep their vehicles in safe condition and obey traffic rules while transporting passengers. Unfortunately, preventable accidents happen all the time because of careless, tired or inattentive drivers. A qualified attorney can establish whether cab driver negligence played a role in the collision, and who is responsible for paying damages. As a client at the Bart Bernard Injury Lawyers, you can rest assured that we will conduct thorough investigations to pinpoint liable parties. Depending on case-specific circumstances, liability may extend to the taxi driver alone, the company that employed the driver, or the manufacturer of defective auto parts that contributed to the collision. Even in taxi accidents that cause seemingly minor injuries, medical expenses can be high, placing added strain on victims. Soft tissue injuries like whiplash take months to fully heal, and often require costly imaging tests and physical therapy. More serious accidents – including pedestrian knock-downs by careless taxi drivers – can result in life-threatening harm, permanent disability and even death. If you were hurt in a taxi accident in Louisiana – as a passenger, a bystander or as an occupant in another vehicle – you can seek financial reparations from at-fault parties for your injuries, hospital bills, lost income, and suffering. Bart Bernard excels in winning personal injury claims involving commercial vehicle accidents. Over the past two decades, he has secured six and seven figure settlements for clients throughout Lafayette and Baton Rouge, and he is ready to go to bat for you. You don’t have to deal with insurance companies alone in the wake of a taxi accident. Put experience on your side and call today for a free and confidential consultation. All cases are taken on a contingency basis, which means we don’t get paid unless we win money on your behalf.